I've travelled to about 30 countries now, and I'm making plans to check a few more off the list this year - and hopefully write an A-Z of places I've already been. But it's a big world, and there's so many more places I want to go. Naturally, I have a vague order of preference and priority, but I thought it'd be fun to make my wish list into an A-Z post. There are some letters with several countries I want to go to, so I've had to cut plenty of places I want to see off of this list, but other letters threw up countries that I hadn't really considered much before. I've left off places I'm planning to visit soon, so this list won't be completed for quite sometime. However, I did a little more research on a lot of these countries while writing this too, so now my wanderlust has been fuelled even more! Australia is such a huge country that it kind of boggles my mind a bit. I mostly want to visit to explore the natural world here, such as famous sights like Uluru, the Blue Mountains, and the Great Barrier Reef. I can't scuba dive, but I've seen some great stuff just snorkelling in the past, and I'd definitely like to do this soon, before the reef gets any more damaged! I've been to most countries in Western Europe, but the Eastern side of the continent is an area I haven't seen much of (beyond Greece). Bosnia & Herzegovina has been a place a friend and I have talked about going to for years. It doesn't seem hugely well-known, and therefore not so touristy as other countries, yet any photos I've seen of it look stunning. 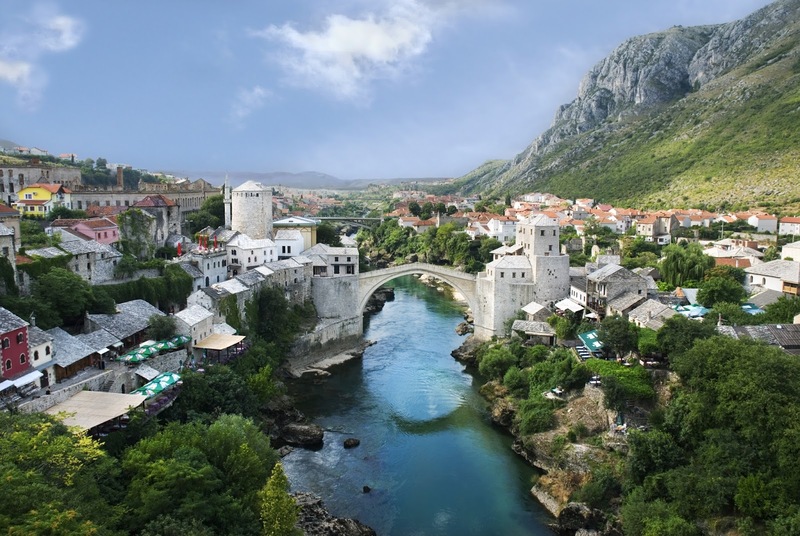 The Stari Most bridge, Kravice waterfalls, and sights in Sarajevo all look appealing. We're hoping to visit sometime in the near-future! I'm desperate to travel through South America, but it's going to take a while to save for a big trip there (I'm not so sure I'd live and work there, as I've done with Asia, but we'll see). Chile is just one of the many countries on my list for this continent, especially because of Torres del Paine in Patagonia, which looks breath-taking. I always think of South America as a hot, sunny place, but Chile is much more diverse, as it stretches so far south - it even has penguins! Who doesn't want a tropical Caribbean getaway? 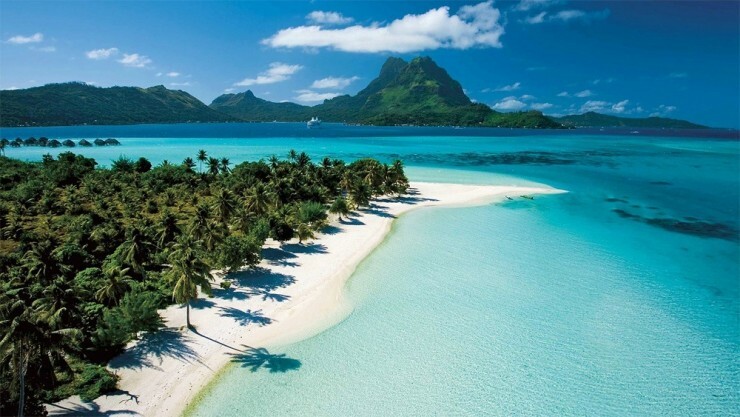 I'd quite happily visit plenty of the islands here, especially after my Belizean taster of the region, but I needed something for the letter D. I've seen some impressive beaches before, but those in the Caribbean look like some of the best, with those idyllic white sands and turquoise waters. I'm not much of a history buff, and even less so when it comes to world history (my education focussed on the UK), but Ancient Egypt is something I know a little more of, and I'm fascinated and amazed by ancient civilisations such as it. So naturally, I'd love to visit Egypt's most famous sights, the Great Pyramids and the Sphinx. I think we've all seen a million photos of them, but seeing something so famous in person is a totally different experience. 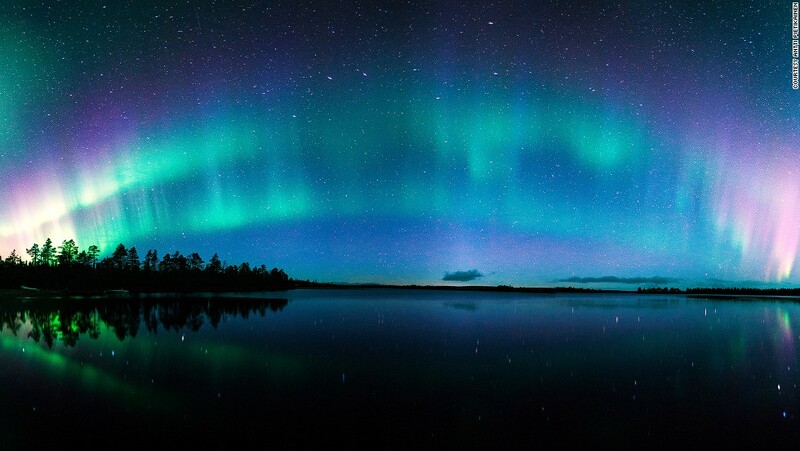 The Northern Lights are very high up my wish list - again, I've seen plenty photos, but I doubt they do the real thing justice. There's other countries to view them from of course, but I've also chosen Finland because I'd love to visit Lapland too, and see those perfect snowy scenes, and hopefully some reindeer. I love Christmas, and everything I've seen of this place just looks like Christmas year-round. Scandinavia as a whole is definitely an area I want to see more of, especially after enjoying Copenhagen a lot! Alright, I'm cheating here, because technically these islands are part of Ecuador, but I feel they deserve an entry of their own, and I want to go here more than any other place starting with G. The world is so populated and urbanised in so many places, that returning to an area as natural and wild (and protected, thank goodness) as this would be amazing to see. The wildlife here looks incredible, and seeing it in person is something I desperately want to do! This is a country that isn't super high up my list, but as I said, an A-Z list throws up some places I hadn't looked into. I do want to see more of Eastern Europe though, and Budapest definitely looks like a place worth visiting, with plenty of typically European sights and architecture, which I haven't seen much of in the past few years. Some research has also shown some beautiful lakes, countryside, and other towns to visit too! India has such a unique, fascinating culture, and I've never met someone who's bene there and hasn't said how incredible it was. Obviously, there's the famous Taj Mahal, which I definitely have to see, but there's also lots of other temples, palaces and such to see. And of course, everything else, the local culture, the cities and markets, the amazing food... oh, and Holi Festival would definitely be something I'd like to see too. The Middle East is an area I'm wary about visiting anytime soon, for obvious reasons, and there's other countries I could have picked for J. However, if I'm ever going to go to the region, Jordan is my pick, because anytime I see photos of the ancient lost city of Petra, I become much more interested in going again! I also just realised that the Dead Sea is here too, which would also be very cool to see, and float on. I most definitely want to do an African safari one day, and being home to the Maasai Mara National Reserve, Kenya definitely seems like a good place to see some incredible animals in the wild. There looks to be plenty of other national parks too, with safaris, hiking and some incredible natural scenery to see. Africa as a whole is a continent I'd like to visit and learn more about, so this is just one country there I'd like to see. I've never really looked into that little corner of Europe, Latvia, Lithuania and Estonia, but if I'm going to check out Eastern Europe, I may as well see it along the way. So much of Latvia is beautiful countryside, of lakes and forests, which I'd like to explore, and there's plenty of beaches too. Riga looks like a nice little city to see too. Morocco has always seemed like such an interesting, energetic, colourful place to visit. I always see pictures of the markets and bazaars and think they look amazing, and further research has shown me dozens of scenic gardens and beautiful palaces and mosques. There's plenty of mountains and waterfalls for my natural scenery fix, so I'll definitely be making a trip here one day. 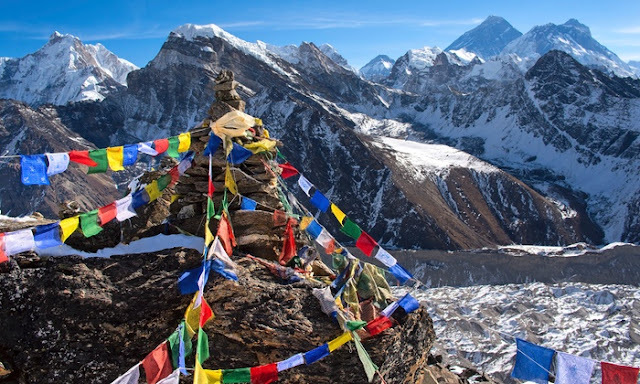 Climbing Everest, even to base camp, is probably well outside my ability level, but just being in the Himalayas is something I want to experience. I think of images of incredible mountain scenery, with colourful prayer flags and remote monasteries, and its unique wildlife population - including yaks of course. Kathmandu Valley is also the most well-known place to go, a UNESCO World Heritage Site with its numerous temples and monuments. Given that this is the only country starting with O (the same is true for Q and Y), I kind of had to choose Oman! It's not a country I've ever looked into very much, but I did to write this. As mentioned, I'm wary of visiting the Middle East in these times, but Oman looks to be a country of beautiful architecture - that Grand Mosque certainly looks worth seeing - and a countryside of deserts and mountains, a type of terrain I've yet to explore firsthand. I was also interested to learn that it's a Sultanate, one of only a few countries in the world ruled this way. Machu Picchu is so high up my travel wish list, a place that I absolutely have to visit one day, and so of course, I'll be going to Peru. I like hiking well enough, but I think I'll need a bit more practice to tackle the Inca Trail, but I'm confident that it'll be so worth it to see such an ancient and iconic sight in person. I'd like to see the Sacred Valley too, and I'm definitely interested in finding out more about Peru and see some of the country's other sights, like the cities and other parts of the countryside, like Huascarán National Park. Again, a country I had to list, being the only one for letter Q. It's another country, too, that I haven't looked into much, but the vast metropolitan skyline Doha intrigues me already, after living in Hong Kong. Researching more Middle Eastern countries as I write this is definitely making me a bit more interested in visiting the region, as it's quite different to anywhere else I've been or looked at going. Qatar looks like a really interesting mix of an ultramodern city, ancient temples, and pristine, untouched desert landscapes. Transylvanian castles. Who doesn't want to go see those huge, dramatic, slightly scary castles? They look amazing, and they are the reason Romania is one of my top countries I want to visit in Eastern Europe. It also has quaint rural villages, stunning architectural sights to see, beaches along the Black Sea, snowy mountains, and the old meets new capital city of Bucharest - what more could you want? Given that I've made some very good friends who are from South Africa, I feel like I'll have to go visit their country some day! It definitely looks like a fun place to visit, with a bit of everything on offer. Cape Town and Johannesburg look like fun cities to visit, and all the vineyards would definitely be interesting. The natural scenery is what really appeals to me though, with Table Mountain, Kruger National Park and the Garden Route all looking amazing! Ok, so as I said, I'm not fit enough to climb mountains, but that doesn't mean I can't go see them. 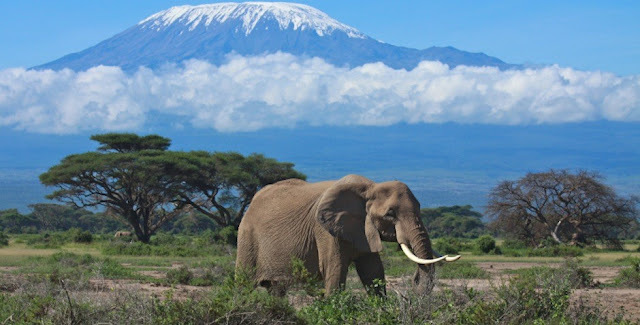 And what mountain looks more iconic than Kilimanjaro? The rest of the country is also home to huge game reserves and national parks, and while I've talked about safaris in other African countries on this list, and the landscapes across the whole continent look amazing, Tanzania is home to the Serengeti National Park, which looks like one of the most stunning places out there. A lot of countries on this list are exotic to me, with cultures very different to my own, across South America, Africa and Asia for the most part, so the USA is a little different, being a fellow Western, northern hemisphere country. However, it is such a huge and diverse country, and I feel like you could spend a long time there and still barely scratch the surface of everything it has to see. For many years, a cross-country American road trip has been on my bucket list, and I want to see famous cities like New York, San Francisco, Las Vegas and New Orleans, and the diverse, stunning natural landscapes, with the Grand Canyon being top of the list, with lots of its other numerous national parks shortly behind it. As I've said, South America is high on my travel wish list, so Venezuela is another of the many countries I want to see there. Most famously, it's home to Angel Falls, the highest waterfall in the world, the height of which boggles my mind a little. Beyond that, I've seen pictures of many beautiful beaches there, especially on Margarita Island and Las Roques archipelago, and lots of incredible marine wildlife to be seen - I'm a sucker for some good snorkelling locations! So it was this or Western Sahara for W, neither of which I've heard of. However, Wallis & Futuna are Polynesian islands (technically a French territory), and Polynesia is a place I most definitely want to visit, and have wanted to for a long time. The islands there all look so beautiful, and I find it fascinating how each one has its own unique culture and traditions. I'd love to learn more about these cultures, and see these stunning islands, with their beaches, forests, waterfalls, and gorgeous lagoons surrounding them. X - Yeah, there's no countries starting with X! Another letter with only one country to choose - so a little funny that it's neighbours with Oman - and another Middle Eastern country! There's more of them on this list than I expected, which is what makes an alphabetic list quite different and interesting to my personal preference order. Given the ongoing civil war, I definitely won't be going anytime soon, but like the other Middle Eastern countries on this list, it looks to have an interesting culture, and lots of temples and monuments to see, and it's rugged desert land to explore. And one more African country to finish the list - there's more of those than I expected to, but given the size of the continent, it's perhaps not as surprising. Victoria Falls would be my top sightseeing choice here, as although it's not the highest waterfall, photos of it definitely make it look like one of the most spectacular ones out there - I won't be doing the bungee jump though! And of course, there's plenty of wildlife and natural parks to see, and some vast, beautiful lakes too. And that's the alphabet! There's definitely countries on this list that aren't high on my personal list, and others that I really want to go to that didn't make it on because they clashed letter with somewhere else, but that's the fun of an alphabet list. Which letters would you have switched for other countries? Would you recommend any of these, or any other places? I'd love to know! And there's so, so many other places I want to go too - I don't think I'll ever be done with travelling in some form!